Hire or buy skis - what’s best? You don’t have your own skis at the moment and are thinking about buying or hiring your own? You are no longer satisfied with your old skis and wonder which new ones you should buy? We have listed the advantages and disadvantages of hiring or buying skis. When is it worthwhile to hire skis in terms of price? The weekly ski rental for a pair of top skis already starts at around 100 euros. If you want to buy skis, you have to spend at least 400 euros. For waxing and edge sharpening, an additional 25 euros or more per season for purchased skis have to be calculated, because artificial snow in particular rounds off the edges very quickly. For rental skis, the maintenance costs are already included in the rental price and the skis can be brought for a service several times during the rental period without additional costs. This way the equipment doesn’t stop you from having fun on the slopes and from learning how to ski successfully. The comparison of ski hire to ski purchase for annual ski holidays lasting one week per year shows the following: only after the fifth season you have recouped the purchase and maintenance costs. With both the purchase and the rental of skis, our calculation example shows that you pay 500 euros over a period of five years. After five years you have to buy new skis anyway to be on the slopes with decent equipment. You have to transport your own skis to the resort either by car, bus, train or plane. When using the car, the purchase of a roof box or roof rack causes additional costs. On the train, finding space with bulky luggage can be a nightmare, and those who fly to the ski resort often have to pay high additional fees for bringing the extra baggage. The situation looks different when renting skis. 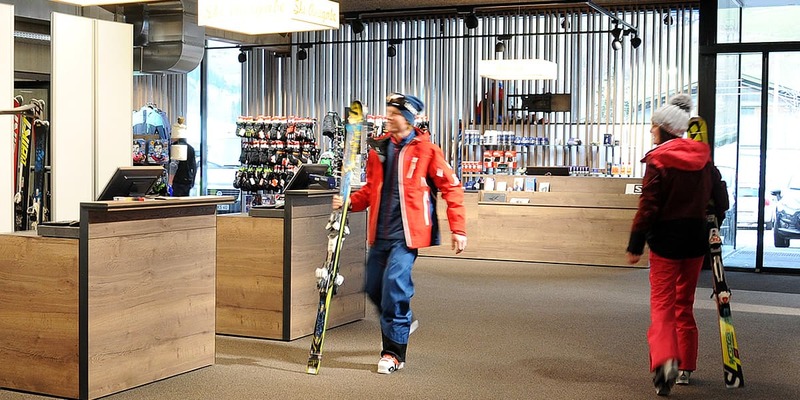 In addition to saving on transport to the resort and storage, some ski hire shops even offer to store the skis in a depot near the bottom station after the last descent. The boots can dry overnight and you can walk back to your hotel in normal shoes, without skis or boards. Especially for families with children this is a big advantage. Hire or buy skis? A question of type! If you want to learn how to ski, you should not buy skis at first. Although today’s common skis with carving, rocker or other innovative technologies, which forgive mistakes, make skiing a lot easier to learn than before, it is possible that a beginner doesn’t like skiing or prefers snowboarding instead of skiing. A purchased ski would then be a waste of money. Nor is it worth buying skis for children who still grow, as the skis you buy will become too short quickly and you constantly have to buy longer skis. Many ski hire companies offer free ski hire for children up to a certain age when their parents also rent their skis from the rental company. Basically, buying skis is particularly interesting for frequent skiers who are committed to an exceptional model and go on a skiing holiday several times a year and want to take care of the services themselves. Already, almost half of the winter holidaymakers rent at least some of the ski equipment – including skis. 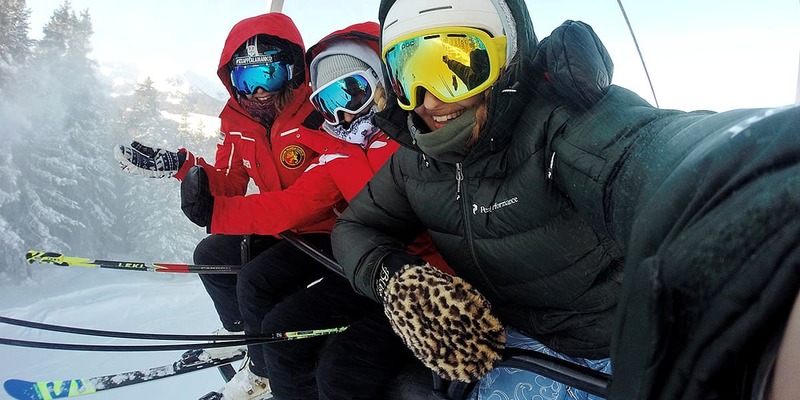 The ski rental trend is in line with the general trend towards a sharing economy, which can be observed also in the hire of cars and bicycles, among other things. 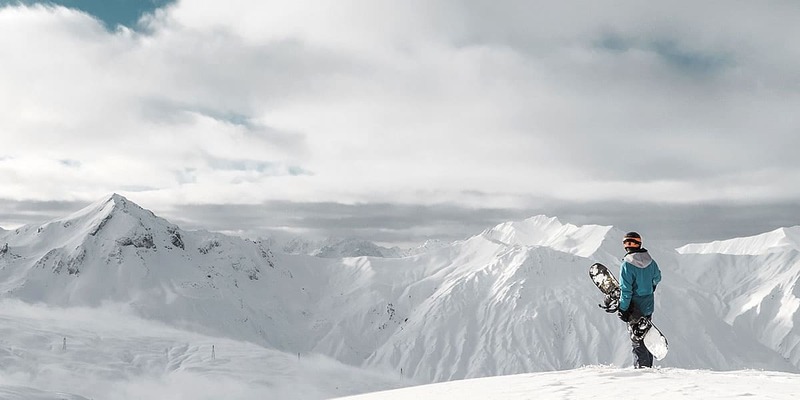 The ski manufacturers have recognised this and are constantly working on more robust surfaces so that the skis still look and feel as good as new even after several rentals. In the meantime, rental skis and accessories can be booked in advance via the internet. This way you can make sure that the ski equipment is actually available during the holiday season. In addition, you can also benefit from online discounts on the internet. If you book your rental skis via an online portal such as SNOWELL, you can benefit from interesting services in the local partner shop in the ski resort. For example, it is possible to change the rented skis free of charge during the booking period at any time. In this way you can test various current ski models. The bindings are continuously checked by the ski hire company according to ISO standards. Thus, the binding is released at the right time, if necessary, and safety on the slopes is guaranteed. Another advantage of renting instead of buying skis: one day you can go skiing, the other day you can rent cross-country skis or even spontaneously switch to snowboarding without paying twice for the equipment. By the way, you can also hire suitable boots for snowboarding. Especially boots are bulky objects. For space reasons alone, the rental is more advantageous in any case. Thanks to professionally selected and adapted ski boots from the ski rental company, the foot gets a good grip inside the boot and does not slip. The hire company ensures that the ski boots are constantly replaced and are serviced, dried and disinfected during the season. collection equipment possible the day before the first ski day (so you can start the first ski day on the slopes stress-free). Tip: this disadvantage can be avoided by making an online reservation. Given the many advantages of hiring skis, it is understandable that more and more holidaymakers are renting instead of buying. Very advanced skiers who don’t have to go far to the nearest ski resort and go out on the slopes several times a year will prefer to buy their own equipment. For those who go on ski holidays only for one week each year, it is worthwhile renting skis. Families in particular benefit from ski hire, as there is no need to constantly buy new longer and longer skis for their offspring. At many ski hire shops children can already rent free of charge if the parents also rent skis for themselves. Above all, however, renting skis means convenience, as you no longer have to worry about service, transport and storage. On the contrary: you can even store your waxed and sharpened rental skis in one of the ski depots near the lift station and enjoy a relaxed skiing holiday.